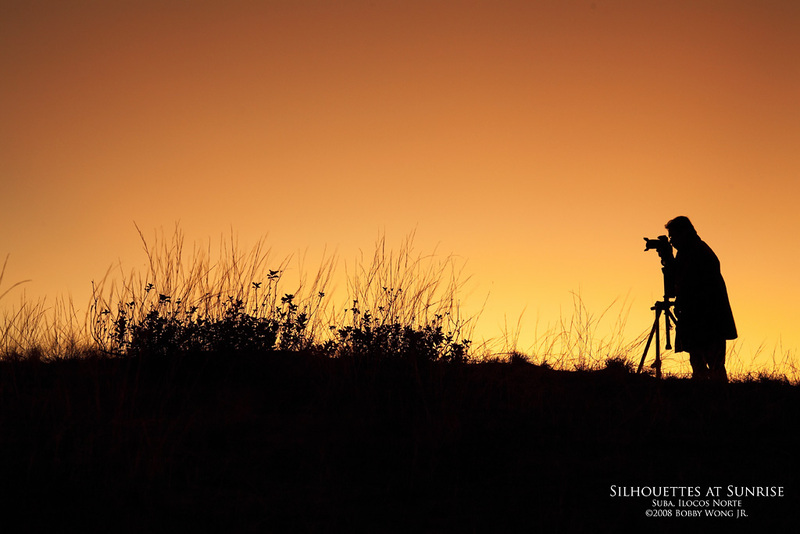 When shooting the twilight hours even the best intentions won't guarantee the best results. From Laoag City we drove to Suba to do some desert-like sand dune landscapes at sunrise. We brought our tripods and filters, check. We got there while the sky was still pitch-black, check. We waited patiently for first light to appear before selecting our compositions, check. But when it became bright enough to see what was around us, my heart sank to the ground. This was supposed to be a barren desert-like landscape but recent rains has grass growing all over the place. A little later it also became apparent heavy clouds on the horizon was going to obscure the most intense moments of the returning sun. Things were definitely not looking good. But that's it with twilight photography: there's never a guarantee conditions are going to be just right. I was shooting along-side ace travel photographer Noli Gabilo that morning before I dragged my stuff down the dune to find something else to shoot. At the bottom I turned around just in time to see Noli silhouetted against the intensifying orange sky. The sporadic wild grass that had spoiled my shoot now provided all the composition I needed. Quick, the moment soon escapes! When shooting the twilight hours a little luck and serendipity can go a long way. Enjoy.